A new study shows that a drug used to help control blood sugar in people with diabetes can help prevent or slow kidney disease, which causes millions of deaths each year and requires hundreds of thousands of people to use dialysis to stay alive. Doctors say it’s hard to overstate the importance of curbing this problem, which is growing because of the obesity epidemic. Results of a study on the drug Invokana were released Sunday. About 30 million Americans and more than 420 million people worldwide have diabetes, and most cases are Type 2, the kind linked to obesity. It occurs when the body can’t make enough or properly use insulin, which turns food into energy. This can damage the kidneys over time, causing disease and, ultimately, failure. 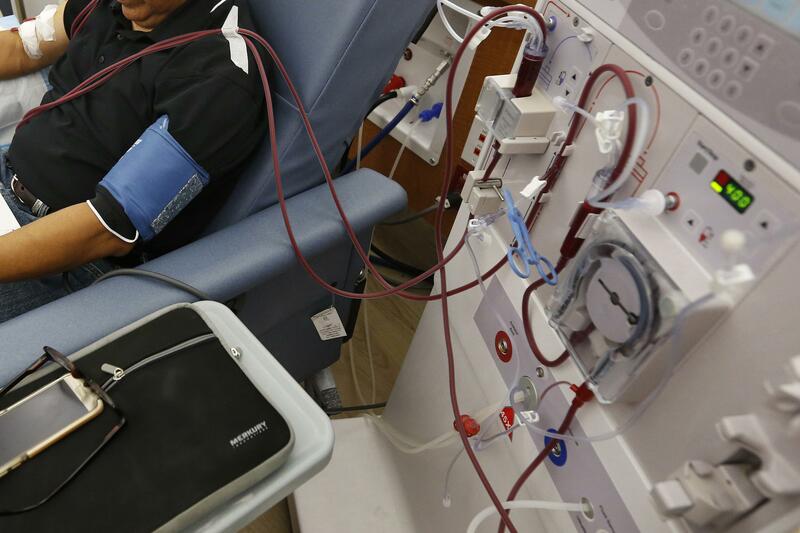 In the U.S., it’s responsible for nearly half a million people needing dialysis, and for thousands of kidney transplants each year. Those on the drug had a 30% lower risk of one of these problems – kidney failure, need for dialysis, need for a kidney transplant, death from kidney- or heart-related causes, or other signs that kidneys were failing. Published: April 14, 2019, 9:35 p.m.